For multimedia fans, gamers and other professionals with the highest demands, Acer introduces the XR382CQK. 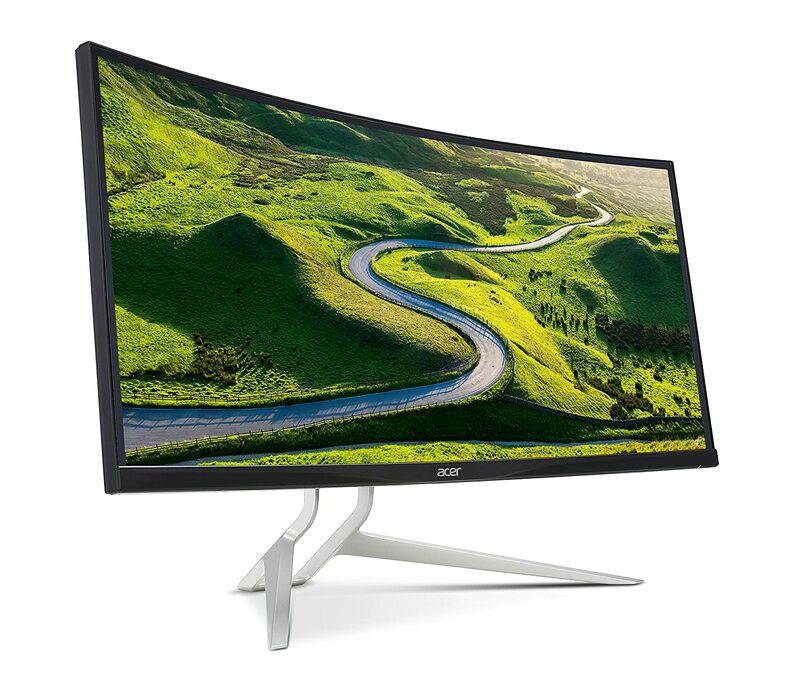 The monitor with Curved Display combines an inimitable and clever design with an ultra-fast QHD resolution (3.840 x 1.600), FreeSync function and extensive multitasking features.Acer XR382CQK is a 38-inch monitor with a 2300 R curvature and an ultra- widescreen (21: 9) display. 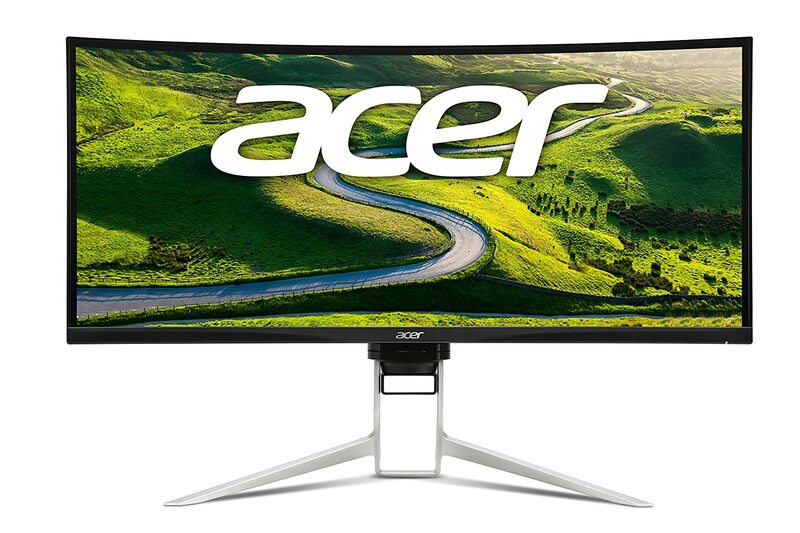 The Acer proposal is capable of delivering a resolution of 3440 x 1440 pixels . Getting into the more technical details, the monitor has a response time of 5 milliseconds , a maximum brightness of 300 cd / m² and supports 10 - bit color (1,070 million colors), which ensures a high fidelity in the shades the scenes. The response time of the screen is 5 milliseconds , we may end up closing for the most enthusiastic players, although it comes with AMD FreeSync technologies and a refresh rate of 75Hz. Acer XR382CQK features DisplayPort 1.2ay HDMI 2.0 video inputs, a USB 3.0 port hub, 7-watt stereo speakers and VESA support. For a monitor of this size and also ultra-panoramic, you will need a desk at least 90 centimeters, which will withstand its 10 kilograms of weight. The 95 cm (37.5 inch) curved display is the perfect entertainment experience that seamlessly adjusts to the natural shape of your eyes by providing the same distance to the eye at every corner of the screen. The wider field of view creates a unique, charming atmosphere. With a QHD resolution, a refresh rate of 75 Hz and a response time of 5 ms, the Acer XR382CQK captures live images on the display. FreeSync adjusts the rendering speed of the graphics unit and the monitor to produce smooth optics without tearing and jerking effects. The monitor also has a modern aesthetic with a special device at the back to organize cables and keep the desk tidy. The Acer Predator XR2 is equipped with the AMD FreeSync technology, which prevents tearing and switches off delays. With AMD FreeSync the frames of the monitor are compared with the frames of the graphics card. Thus the playing experience is guaranteed. Extend your perspective with multiple monitors connected in series. With the Acer Predator XR2 in the Zero Frame design, the frame disappears and provides a great landscape for seamless multitasking across multiple screens. The IPS (In-Plane-Switching) technology complements the curved Ultrawide QHD display with a breathtaking view angle of up to 178 °. In addition, the 100% sRGB color correction technology will amaze you with the high accuracy and fascinating color scale. The Acer Predator XR monitors are designed to relieve and relieve the eye. That's why they have Acer EyeProtect technologies that minimize eye strain. The BlueLight filter reduces the exposure of harmful blue light, while the Flicker-less technology optimizes the refresh rate to relieve the eye while using the monitor. Various features increase the productivity of professional users by making multitasking and multimedia usage easier than ever; Whether film cutting, streaming or photoshopping. For example, Picture-by-Picture allows you to use two inputs for the same monitor to display different content on one screen side by side and to work on two projects at the same time. It also lets users view their favorite movies or videos while they are creating content, paying bills, or doing other tasks. The Acer XR382CQK offers a wide range of connectivity options. HDMI 2.0, DisplayPort v1.2 and a four-way USB 3.0 hub with connectors on the side and below the display enable a fast connection of the mouse, keyboard, gaming headset and other devices without leaving your chair. The monitor also has a USB 3.1 Type C connector (Gen 1) for fast data transfer of up to 5 Gbps. Those who spend many hours in front of the computer will appreciate the ergonomic stand. 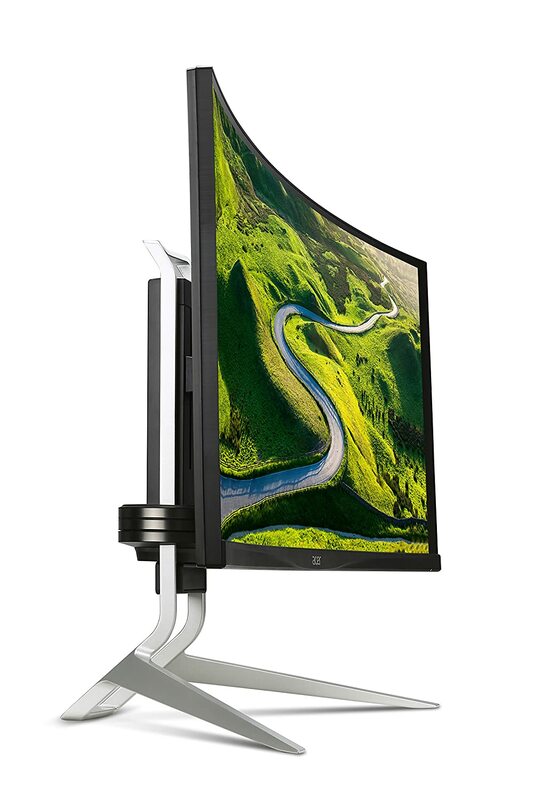 It allows you to tilt the monitor (-5 to +35 degrees), rotate (+/- 30 degrees) and adjust the height (up to 130 mm). Equipped with Acer EyeProtect, the new monitors are flicker-free, have a Blaulicht filter, ComfyView and low-dimming technologies to prevent screen shading and over-lighting. This can help to relieve strained eyes during long sessions. Two 7-W loudspeakers with DTS ® sound are provided for the musical background .